When it comes to being a business owner the buck stops with you. In most cases, this not only means the responsibility of running the business but also making sure that you have enough cash available. Sometimes this is not such an easy proposition. Maybe it’s because you are operating in a tough market and you need money fast to hold you over until things get better. Or maybe it is because you are growing so fast that you need to the extra cash to keep up with demand. 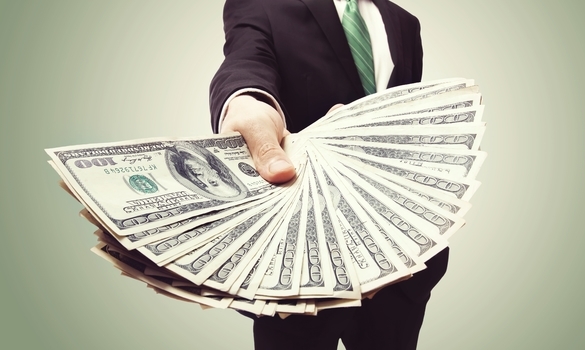 Either way, here are four ways to get cash for your business. While you might need to tailor these ideas to your situation, each one is a proven method for helping small business owners get the cash they need to succeed. The internet has changed most aspects of our lives and this includes how you can get the funds you need for your business. Sure, you can apply for bank loans online, and most of us do. But, did you know that a growing number of lenders have turned to the internet to lend money online too? This is especially true when it comes to getting working capital loans or emergency cash for your business. Granted some of these lenders charge very high-interest rates but there are times when the best option is to get such a loan. Just remember that you should only use short-term cash for short-term needs. This means that high-interest loans should only be used for something you can pay off in a month or so. If you are expecting to take on these loans with the idea of using one year or more to repay the loan, then you might want to look at another financing option. While this isn’t always the best option, there are times when a small business owner has no choice but to put their personal credit history on the line to get the money their business needs. In this case, you might want to consider getting a personal installment loan. In most cases, these loans only require a credit check to approve your request and the application can often be approved in hours – if not minutes. Beyond this, you will want to keep in mind that these loans are often not long-term solutions. Instead, personal loans are a way to get cash quickly and this often means that they come with a very high-interest rate. While factoring is commonly lumped together with receivables financing, the reality is that there is a distinction between the two. In factoring, a finance company will purchase your receivables outright. In this situation, the finance company will usually pay between 70 to 90 percent of the face value of your receivables. In addition, you will normally have the option to decide which invoice to sell in order to get financial help. While at face value receivables financing might seem like factoring, the distinction is that when receivables financing is like a bank loan in that there is some form of collateral – beyond the invoice – tied to the finance contract. This could be a physical asset owned by the business or a personal guarantee from yourself of the other owners of the business. In some situations, you might want to choose receivables financing over factoring but in other times factoring might be the best option. Another thing to know is that just because you choose one type of financing for certain customers or invoices that you must use that option every time. For example, freight factoring might make sense most of the time but for some customers, you might have to consider receivables financing as the most appropriate option. To be frank, every business should work with its back to establish lines of credit. While this might not happen overnight, having this option open to you will provide additional flexibility when looking to finance your business. Keep in mind that just because you have a line of credit open to your business doesn’t mean that you need to use it. Instead, look at a line of credit as a “break glass in case of emergency” solution for business financing as having it there will help but you also want to make sure you pay it off as soon as possible. The beauty of this approach is that you won’t need to pay interest charges for your unused line and that you will have most, if not all, of the line available to you when you need it most.